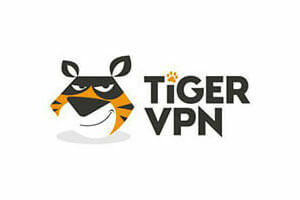 If you are looking for a high level of protection and security, both VPNhub and TigerVPN are excellent choices, so you cannot go wrong no matter which one you opt for. However, if you wonder which one of these packs more handy features and offers better services in general, this VPNhub VS TigerVPN comparison can answer all of your questions and help you make the right choice. View our detailed comparison below and discover which service is one step ahead of its competitor. VPNhub is a VPN solution by Pornhub available for free on Android and iOS. It boasts good speeds and smooth performance. Its ad-free paid version for mobile and desktop offers nearly 30 server locations and 3 simultaneous connections. Worked fine for a day and then just "oops, something went wrong", third time today. Hope they fix it, this is really annoying. Just installed it, real simple, works fine for now. A bit surprised with unlimited bandwidth, we'll see if it's true.